Most of the MEFedMVVM features so far were all around discoverability of ViewModels, yet when building MVVM application sometimes you want to also have a mechanism to discover and launch views. If we look at web development its all about resources sitting on a server and you can launch/load a specific resource via a URI (Unique Resource Identifier). This mechanism proved to be a very easy and scalable way of locating views and within a Web Page you can link to other pages very easily. When building WPF applications that are purely content based such a mechanism would really come in handy, and if you think about it MEFedMVVM is all about discoverability so why not support this scenario. Since this is not really part of the core MEFedMVVM I created an extension that you can use to accomplish this, MEFedMVVM NavigationExtension. MEFedMVVM.NavigationExtension support both WPF and Silverlight 4. 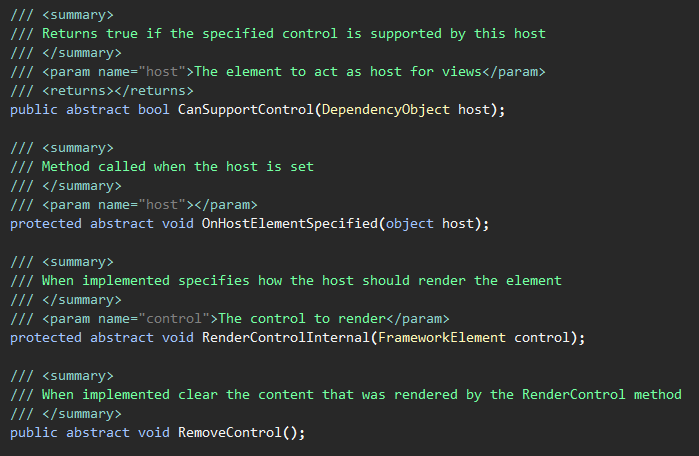 Specify a Parameter to be passed to the ViewModel of the View. 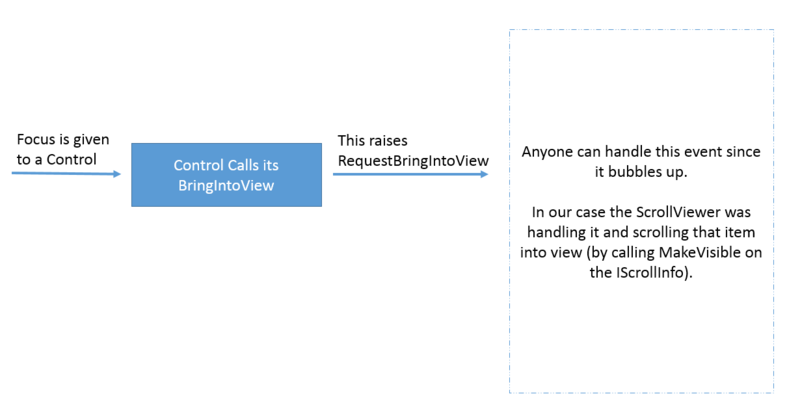 The reason why the parameter is passed to its ViewModel is because if you are doing MVVM then your View has no need for parameters, its the ViewModel that needs the parameter(after all the ViewModel controls the logic). We will see how you can still cheat and do whatever you like at the end of the day, the parameter can be passed to the View. So one might wonder how will my ViewModel receive the parameter. This is done by your ViewModel being set as DataContext of the View (if you are using MEFedMVVM to link the View to the ViewModel this happens automatically) and also your ViewModel has to implement the INavigationInfoSubscriber interface. This interface defines 1 method OnNavigationChanged which will pass along the parameter and also give you an instance of the INavigationManager responsible for starting the Navigation. This pretty much covers the bare basics, let’s get a better understanding of what is a Host and what is an Invoker before we deep dive in more complex scenarios. There are 2 base classes you need to write in order to create your own handlers. Implement this interface in your ViewModel to get passed the NavigationParameter. A NavigationCommand is just a DelegateCommand<T> BUT it implements the INavigationManagerProvider interface. When used as a NavigationParameter it will hold the instance of the INavigationManager so that you can do things such as Closing a navigation. We will see the NavigationCommand<T> being used in the first scenario below. Let’s say you have a dialog that shows some settings and when you are done you want to get those settings back to the original ViewModel that “started” the navigation to the Settings screen. Here are a couple of screen shots for such a scenario. Now we can specify that the NavigationParameter is this command so that the SettingsViewModel can execute this command when it is done and give us the ApplicationSettings object instance. Once the Settings ViewModel calls the Execute on the _onSettingChangedCommand it will invoke the method inside the MainViewModel (OnSettingChangedExecuted) passing the new ApplicationSettings. **One thing to note is that the MainViewModel is also calling CloseNavigation on the NavigationManager of the NavigationCommand. This is so that as soon as its done applying the new settings the Settings screen disappears. Let’s say you have a sort of Wizard Step by Step UI. 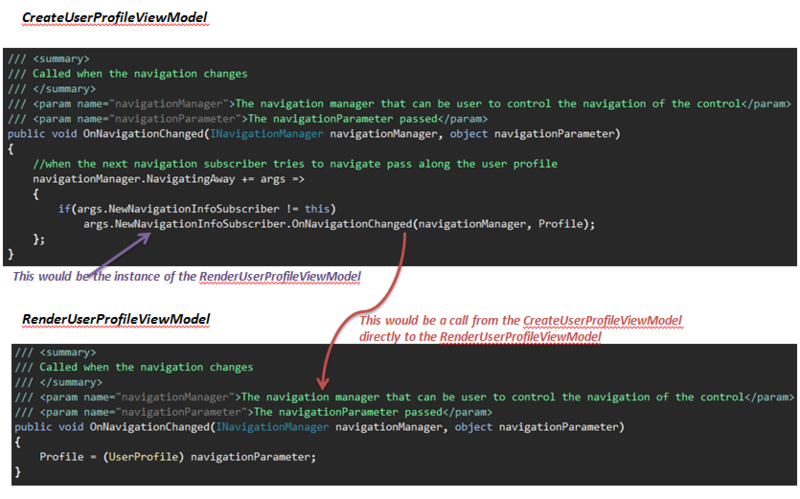 In this case we want to chain the Navigation so that the CreateUserProfileViewModel send the UserProfile not to the MainViewModel (the ViewModel that started the Navigation) but to the ViewModel next in the chain i.e. 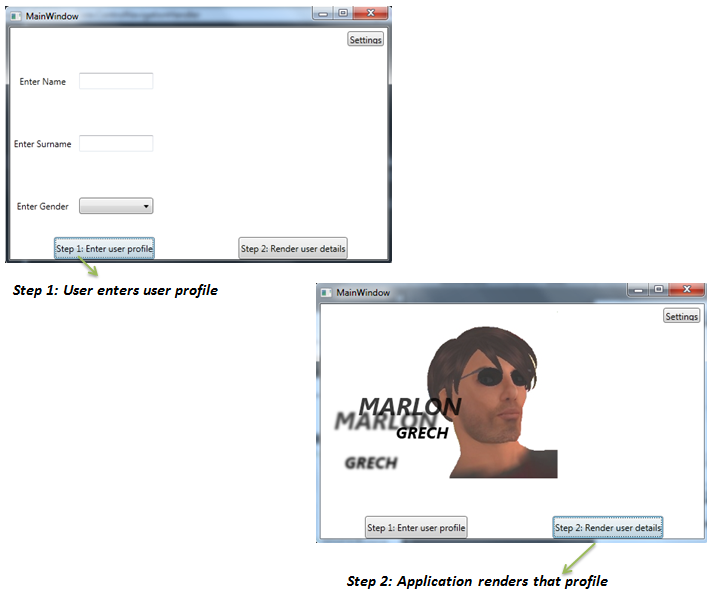 the RenderUserProfileViewModel. In order to do so both “Invokers” (i.e. 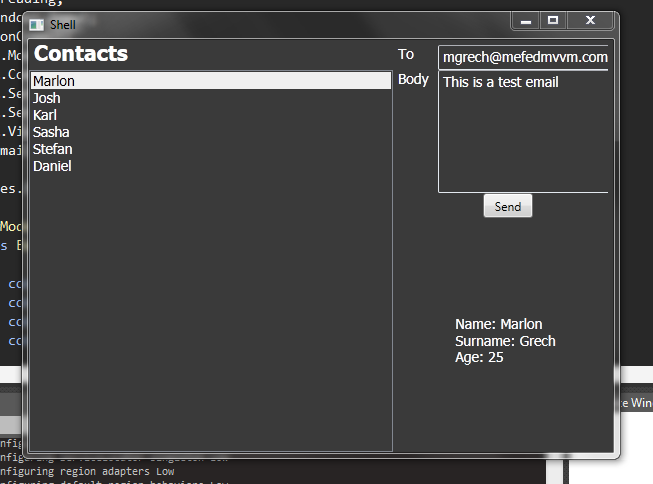 the button for the CreateUserProfile and the button for the RenderUserProfile) must have the same navigation “invoker”. You do so by explicitly setting the NavigationHander attached property (this is an attached property that exposes the Navigation handler for an “invoker”). So basically the CreateUserProfileViewModel (Step 1) could pass along data to RenderUserProfileViewModel (Step 2) and you can continue chaining like this one step after another. NOTE: For Silverlight you instead of using the NavigationExtensions.NavigationHandler use the NavigationExtensions.ChainToElement and specify the other button (this is because there are issues around binding to custom attached properties in SL). 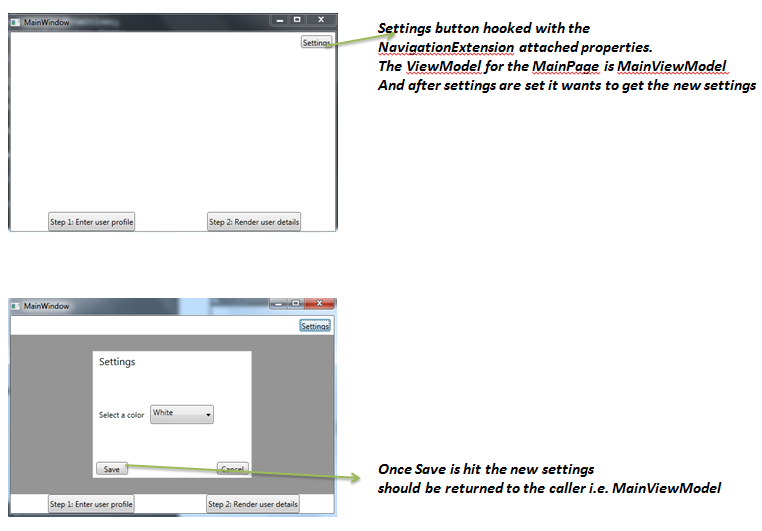 This approach can also be used in WPF. This is all still work in progress, it needs more testing from my end to make sure there are no side effects such as memory leaks etc yet feel free to poke around and play around with it. As always feedback/bug reports are very welcome. Sometimes you are in ViewModel X and you want to execute a command on ViewModel Y. You do not want to link the 2 because of some constrains that that might impose. How can you leverage MEFs capabilities to overcome such a situation? Today I was looking at PRISM 4 and how it uses MEF as its DI Container and I thought, wouldn’t it be cool if you could use the 2 together? Why would it be cool? Having the 2 working together would be awesome. The question is can they work together? In PRISM you need to create a bootstrapper that will basically compose your application. MEFedMVVM also has a sort of Bootstrapper where you can specify how you want to compose the MEF composition. So as such all you need to do is to have your PRISM bootstrapper also tell MEFedMVVM how to do the composition. In this case we will return null as the GetCustomExportProviders. This is a feature used if you have some custom ExportProvider you want MEFedMVVM to use. The last step (which is the actual line of code to enable MEFedMVVM) is where we tell the MEFedMVVM LocatorBootstrapper to use this class as runtime composer. As you can see I have put that line of code in the CreateShell method so that the Composer is applied as early as possible so that all views can use MEFedMVVM. Of course here I am not really leveraging MEFedMVVM capabilities, yet the purpose of this post is not to show those capabilities but to show how you can use PRISM and MEFedMVVM together and take what is best from both. To read more on MEFedMVVM visit the codeplex site. I create a small sample project to showcase both PRISM and MEFedMVVM working together. In my previous post I explained how Silverlight 4 lacks the UpdateSourceTrigger for PropertyChanged. I focused on how you can overcome this issue for one of the biggest use cases, which is the TextBox. In this post I will show how one can do this for any Dependency Property of any Framework element. Please note that this post is quite an experimental one. Probably the use case you are looking for is for the textbox scenario, if that is the case I would suggest that you use the more explicit approach i.e the one I show in my previous post. The take away from this post should be more the idea of how things work rather than the actual code I am using here, this code was never tested in production thus it might contain memory leaks and other issues. The key for updating the binding when a property changes is to actually know when the property has changed and then force the binding to update the source. In WPF there are multiple ways of doing this, one of which is to use the DependencyPropertyDescriptor class. This class allows you to hook an event handler for when the specified property has changed. Unfortunately in Silverlight there is no DependencyPropertyDescriptor class thus one has to resort to some ninja trick After doing some internet crawling I found an interesting approach using attached property creating and hooking to the property changed. The idea is that you create an attached property and you bind the newly created attached property to the property that is consuming the binding. The Text dependency property is consuming a binding and you want to update the source of the binding as soon as the property changes. 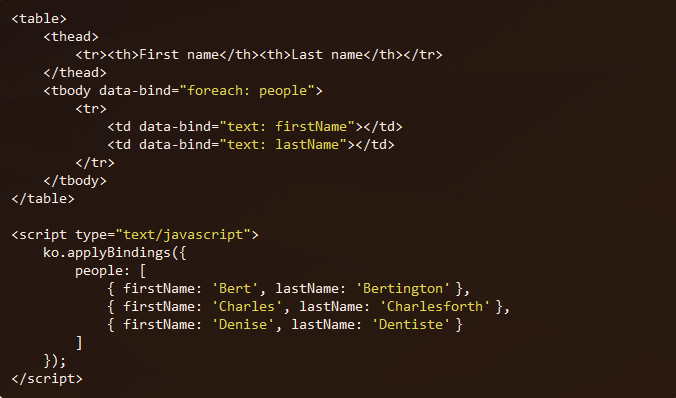 You create an attached property and you bind it to the Text property of that TextBox. This will get you notified when the text changes because when creating the attached property you can have a property changed handler. In the property changed handler you update the source of the binding. Ok so I showed how you can workaround the lack of DependencyPropertyDescriptor in Silverlight for property changed notification, now how do we update the binding? As you can see I am attaching a string “Property” to the actual property name (in this case Text) when I try to get the dependency property by reflection. Even though in XAML you specify “Text” as the property name, the actual dependency property name is TextProperty (which is a coding standard for dependency properties), “Text” is how the property is registered to the framework. How is this approach generic? Well let’s see what we did in the “Dig Deeper” section. – We create an attached property which will be our way of hooking to property changes of a specific dependency property. Not great but not too bad, it will do the trick for now… So here is the code for the attached property (you have to download the sample project)… Its exactly what I explained in the section above. Please note that I am creating the hook inside a separate class UpdateSourceTriggerProxy. I am doing that so that the operation is atomic and everytime you use this approach we have a different instance of UpdateSourceTriggerProxy doing the hook for updates and the actual update. The object instance we be kept alive because of the property changed delegate. here is an abstract from the blog about the problem. 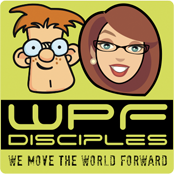 This can cause a lot of pain and that is why I am sharing it so that you do not fall in the same trap! One last topic for this post revolves around variable instantiation around closures and what it means to you in regards to lazy evaluation. Let’s look at a quick example of some of the issues you might face. Jason Olson has a pretty good explanation in his post "Lambdas – Know Your Closures".